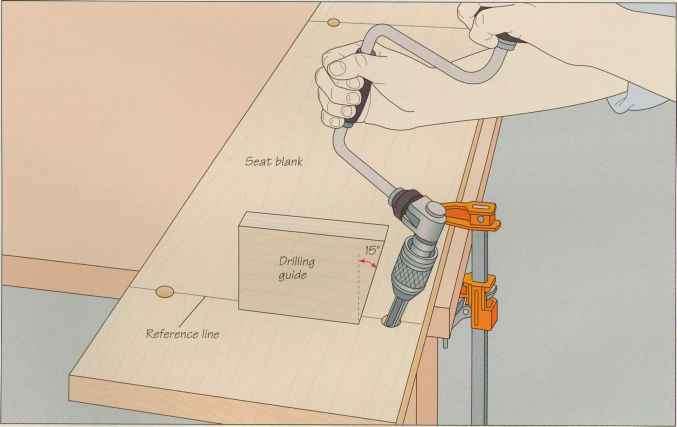 Clamp your seat blank bottom-face up on a work surface and mark a reference line across the surface 5 inches from each end, then pinpoint the holes for the legs; the back holes should be 1% inches from the back edge of the seat and the front holes should be 13A inches from the front edge. Fit a hand brace with a spoon bit the same diameter as the legs. 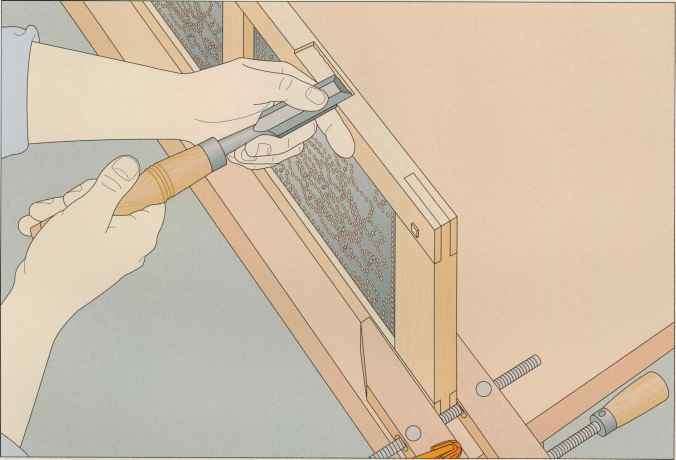 To help you drill the holes at the correct rake angle, make two guides from a short wood scrap, mitering the guide for the front legs at 5° and the one for the back legs at 15°. Set the appropriate guide on edge on the reference line a few inches from the hole mark and hold the bit parallel to the mitered edge of the guide. Then bore the hole (above), stopping when you are about two-thirds of the way through the stock—about 1 inch deep.